The new and improved Advantage II now offers flea and lice protection for your dog. Flea and lice treatment with Advantage II gives your dog a safe solution that only needs to be applied once a month. 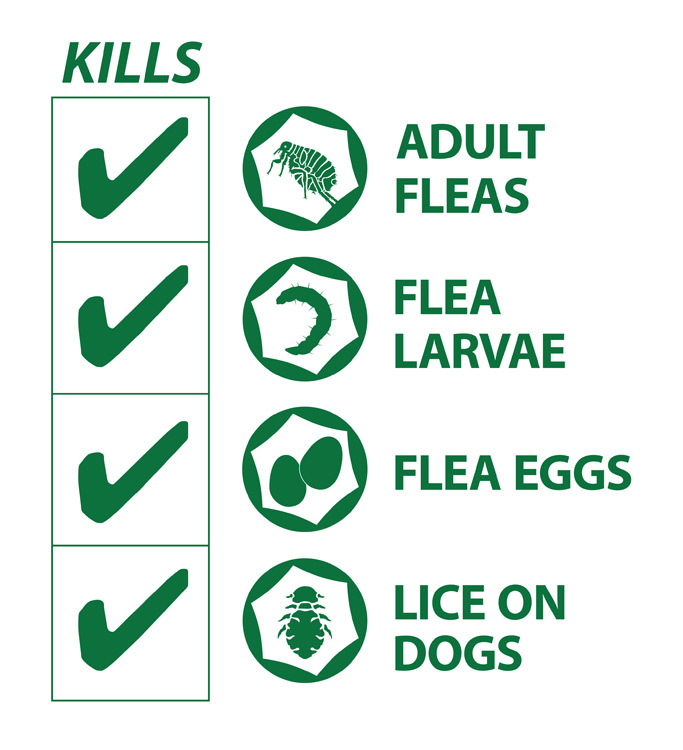 Dogs and puppies older than 7 weeks and weighing under 10 lbs are fit for this flea and lice killing formula. This formula will kill fleas completely by eliminating their eggs and larvae by using a variety of ingredients and compounds. It contains a fast-acting formula that kills fleas quickly and prevents them from returning. Advantage II uses the compound pyriproxyfen to kill fleas and other insects by interfering with their maturity cycle. Targeting insects, pyriproxyfen does not affect mammals. Other flea killing properties like adulticidal, larvicidal, and ovicidal kill fleas and prevent them from emerging again. Imidacloprid paralyzes fleas so they are killed before biting your dog and also reduce the incidence of flea-related allergies. Application Instructions: Apply entire contents of tube on the neck at the base of the skull. monthly application. See back panel for First Aid. For Directions for Use, and Storage and Disposal, see supplemental labeling inside. Got item fast and for a good price. Like that it is free shipping. Really easy to use web site. I have used Advantage II for all my dogs, its great, best I have found, easy to use.